Dr. Yang Jwing-Ming is a Tai Chi Master and also a scientifically trained physicist and mechanical engineer PhD. His book The Root of Chinese Qigong: Secrets of Health, Longevity, & Enlightenment (contains a section on the scientific interpretation of Chi). The main hypothesis of the book is that Chi and bioelectromagnetic energy are the same thing. Chi is what the ancient Chinese and Chinese medicine is based upon. Bioelectric energy is what Western science calls bioelectricity. Western medicine understands that electricity plays a fundamental part in the operation of the human body, such as electrical nerve impulses of neurons or ion-exchange. In many ways I find this connection to be quite intriguing. Clearly there are a lot of parallels due to the fact that many parts of the body such as the (fasica) are electrically conductive. It has also been well reported (in fact shouted from the rooftops by every alternative healer in the world) that research has revealed that each of the traditional Chinese acupuncture points corresponds to a point in the body of a particularly low electrical resistance. Equally bioelectricity can help to explain the presence of the near-field electromagnetic force around the body which have strong parallels with an aura and kirlian photography. Equally I could be convinced that there is a sound scientific basis to the fact that electrical flows in the body generate an electromagnetic force and hence an EM field around the body. When two bodies come close to each other these fields can plausibly interact with each other and hence, "sensing person's aura" or "healing by laying on of hands" are not totally without foundation in my opinion. [a halo] is commonly seen in paintings of Jesus Christ, the Buddha and other Oriental goods. Frequently the light is picture as surrounding the whole body. This phenomenon may again be explained by the body Electric theory. When a person has cultivated his Chi (electricity) to a high level, Chi may be led to and accumulate in the head. This Chi then interact with the oxygen molecules in the air, and ionise them, causing them to glow. No. Do we see oxygen molecules of the air glowing around the transmission line strung up to electricity pylons? Does your washing machine glow? No. The minute voltages and currents in human body are never likely to cause ionisation. [Talking about interaction with the Earth's magnetic field] I believe this means if you live in the northern hemisphere, your brain (i.e. your upper dan-tien) is constantly being nourished and stimulated by the energy from the lower dan-tien. <....> This may be a possible explanation for why more human technology was developed in the northern hemisphere. Countless experiments have been conducted in China, Japan and other countries to study how external magnetic or electrical fields can adjust the body's chi field. <.....> Although many experimenters have claimed a degree of success in the experiments, none has been able to publish any detailed convincing proof of his results, or give a good explanation for the theory behind his experiment. So that is simply all we're able to say at this point, the rest is speculation. There maybe parallels between bioelectricity and chi, but there is simply no proof that they are one and the same. This is not for lack of research mind you, hence given the plethora on null results, it is tempting to draw the opposite conclusion, that they are in fact different (but I will resist that temptation for now). Despite Dr Yang's best efforts therefore (and I recommend reading what he has to say) Chi remains intangible, bioelectricity is not. First there was Hubo, then QRIO and now here's another one: http://www.idemployee.id.tue.nl/g.w.m.rauterberg/Movies/tai-chic-robot%28wmv%29.wmv and another http://www.dailymotion.com/video/xa5l71_tai-chi-nao-robocup-08_tech. And also some more examples (most of which I've already highlighted before) from this thread over at kungfu magazine. Another question from my framework was the mininal requirements needed for a robot to use internal arts princples. To some extentet this is given lip service by Henrey Zhang (below), however it is unclear to me what internal arts principles the robot is actually using. Seems to me it's all about the human doing tai chi (or rather simply balancing and using weight transfer) and the robot detecting it - which is not the same thing at all. 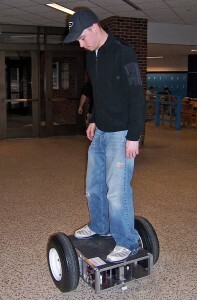 Henry Zhang, an assistant professor of mechanical engineering technology, along with four students, spent several months building a hands-free, two-wheeled, self-balancing scooter based on the principles of Tai Chi, a form of Chinese martial arts that centers on focusing the mind and staying aware of your center of balance. "We want to create robots that can work with humans, so we wanted robots to learn how humans move and interact with the world, which led us to go and try to better understand how humans move," Khatib told LiveScience. The researchers investigated how people move by using sensors to follow human volunteers such as Khatib's students and a tai chi master visiting from China as they performed movements such as bending, walking and jumping. "The tai chi master helps provide data on motions that are closer to optimal in performance for comparison," Khatib said. Using this data, the scientists devised computer models that showed how people minimize effort. These allow robots to perform tasks without computing where exactly it will go in advance as conventional methods do, saving on the number of computations the robots have to carry out"
I just discovered a formula in Bruce Frantzis' book for the historical origins of tai chi. I like formulas. Taoist chi gung + Taoist philosophical principles + Shaolin temple gung fu external martial arts techniques = China's newly intergarted martial art eventually called tai chi chuan. I recently posted a couple of links to robots doing tai chi (Hubo and QRIO). I find this concept really interesting, as it might well provide the ideal framework to discuss the principles of the internal arts within a scientific context. First of all, tai chi (or the other internal arts) would perform an ideal benchmarking test case for the mechanical abilities of a robot. The whole body coordination and complexities of balance ensure that to perform a tai chi form properly would be exceptionally challenging. Secondly do the principles of the internal arts have any meaning outside of the context of a human body? In other words, can internal arts principles be applied to non-humans (e.g. animals)? Taking this a bit further, given that we can construct robots that are humanoid in form, can they use internal arts principles? What are the minimal degrees of freedom that are required of these robots to be able to exploit or perform the internal arts? It should be noted that this context is different to just pre-programming a sequence of movements (that does not require any thought or reactivity), but rather the dynamic utilisation of the principles as behaviours or reflexes. In CGI simulation terms this is already possible as the troublesome robtictics hardware can be bypassed. GCI agents (i.e. simulated robots) can already be endowed with a set of behaviours which result in realistic movements and actions, for example natural motion. 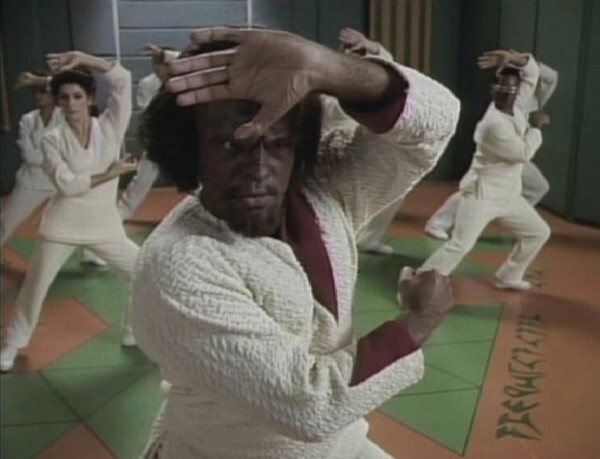 I don't see any reason why they couldn't do tai chi. Thirdly what does it mean to meditate or concentrate in robotics? After all, in many ways a computer could be considered an ideal meditator as it is able to "empty its mind" and just revert to something like the system idle process. Perhaps this is a null point. Fourthly, if we consider the thought experiment whereby we have a robot that is a perfect anatomical match for a human (in terms of joint and muscle structure), what are the software algorithms it needs in order for it to be able to perform tai chi? This raises an interesting question: would it be possible to program this robot to perform the internal arts from a purely biomechanical perspective? If the answer to this is yes, then this would prove that there is no such thing as chi, as it is not a necessary component of the system. If however it was impossible to program the humanoid robot using only biomechanics, then this by contrast would prove the existence of chi, as an actual tangible property rather than as an abstract visualisation/model of the world. With regard to the last point, the thought that immediately occurs to me is to wonder whether chi is actually an analogy (and opposite) to pain? When you experience pain, it is the body's way of telling you that things are incorrectly aligned/not performing their correct function. When you experience chi, it is the body's way of telling you that things are performing optimally. The more chi you experience, the more optimally your body is functioning. I mentioned Hubo before, but surely this QRIO robot from Sony is a far more accomplished tai chi robot. See how graceful it is - really quite impressive I think. Surely QRIO is it far better (in that there is more tai chi essenese) than this guy doing for a ridiculous "square form" video. Hubo got me thinking - all the joints in the body are rotational. There are no sliding all lateral joints. Moving in a straight line therefore requires at least two joints to work together. You cannot achieve linear movement with individual joints. The more joints you connect together the more degrees of freedom you have, and the degrees of freedom possible in the human body are quite staggering. The whole body connectivity of the internal arts are seeking to exploit this fact. In order to achieve useful movement multiple, parts of the body have to work together, and the more parts you can utilise simultaneously, the more freedom of movement (or opportunities) you have. The more you can bring together the more you can "flow" your movements. In scientific parlance, tension and stretching both imply the same thing. If something is under tension it is being stretched. In internal arts parlance, tension and stretching mean entirely different things. If you are tense you are closed off, shutdown, tight. When you are stretched you are opened up, loose and elongated. As a scientist therefore, you must bearing in mind, that when the next enthusiasticly, healthful hippie talks to you about tension they are really talking about compression. Entropy is a measure. It is a property of the universe. Just like time it flows in only one direction and causes things to be disordered. If something is disordered it is without a pattern, without a structure. But isn't life about growth and the creation of structures? Isn't intelligence to a large part based on pattern recognition? Could it be that life is the opposite force to entropy - seeking out and creating patterns - attempting to create order amongst disorder? In order to research in the medical field one of the most well used techniques is double blind trials. This is a technique whereby both the participant and researcher do not know whether the drug or therapy being tested is real or a placebo. These techniques remove bias (subconscious or otherwise) by effectively eliminating "the brain". But how is it possible to conduct such an experiment when visualisation and "the brain" are of fundamental importance? The placebo effect after all is real, and in fact isn't that exactly what the internal arts are attempting to tap into? For example, it has been shown (in proper scientifically validated trials) that the more spiritual you allow your meditation to be, the more effective it is. This was reported in the New Scientist in 2005 (requires subscription, but there are a number of subsequent write-ups for example here). [If someone can point me to the precise research paper I would be grateful]. Meditation at least is "all in the mind" and lends itself to trials, but when it comes to chi gung and tai chi this becomes increasingly intractable due to the huge numbers of additional variables. For example, researchers have attempted to develop a minimal tai chi form in order to make the problem tractable. However, as Masters at the International Tai Chi symposium this year debated - just how much reductionism is possible before the essence is lost (well written up here)? It seems there is an intractable dichotomy here: in order to study tai chi it needs to be simplified, but then what you are studying is not really tai chi more.. But I guess at least it helps to develop the model. But at the end of the day, why should tai chi be proved or researched scientifically? After all, it is not like there are readily available scientific answers to analogous questions like "what is better for you playing cricket or cycling?". Why should the internal arts be any different? Scientific method is based around the principles of modelling the world. If I have a theory or hypothesis about how something works, that hypothesis can be described as a "world model". How well the real world matches my model, dictates how valid/useful it is. Models can of course be made ever more sophisticated, to match the complexities of real life, and indeed the whole scientific endeavour is based upon improving the accuracy of these various interconnected models. The point I'm trying to make is that as scientists, we are used to the idea of abstracting the real world into a simplified model and thinking in those terms. The theories of meridans, energy centres and elements in traditional chinese philosophy (around which the internal arts are based) is just such a model. It is a model of how the body works, of how nature works and is inter-connected. Western medicine also describes the body as a model. Blood vessels, nerves, muscles and organs are all components of this model along with explanations about how they are connected together. What we have therefore are two different models of the world. Neither one is "correct", they are just different, and approach the body from different perspectives. Each of the two models has strengths and weaknesses and are in turn more appropriate to use in different contexts. Just as in physics light is modelled in two different ways, as a particle and as wave. It depends on the context as to which of these two models for light is more appropriate to use in your particular case. Both the models of light are valid and each brings a different perspective and greater understanding. In a similar way the Eastern and Western models of the body bring greater understanding. If I break my arm, or otherwise have an accident, I would trust in the Western medicine model and its advanced surgical techniques and pharmaceuticals. However, if I'm interested in feeling less run-down or stressed, want to improve my general health, or otherwise seek to "balance my life", or live in harmony with my surroundings, then it is to the Eastern medicine model that I would trust. From my perspective both medicine models complement each other to provide a duality of prevention and cure. It is illogical to dismiss one of them, as both provide explanations of specific aspects of the world, that are lacking in the other model and vice-versa. Both models are non-dominated solutions. The tricky bit of course is figuring out when and how it is most appropriate to use each model.